Center Point Property Management, Center Point Property Managers, Center Point, AL Property Management Companies. We offer a full range of property management services tailored to you as an investor, homeowner, or landlord. We have an extensive portfolio of commercial real estate, multi-family unit and single family homes in the Center Point area. 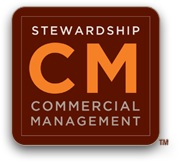 With our Stewardship CMTM Commercial Management program, managing the return on your commercial real estate investment and maximizing your cash flow is simple. With a customized Asset Stewardship Plan in place, we are able to help you manage your assets with simplified reporting, regular maintenance and a firm guarantee that you’ll always be dealing with our A-team. Let us manage your real estate so your real estate doesn’t manage you. People move, but their houses don’t. 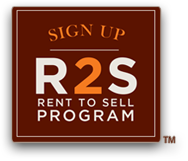 That’s why Watts Realty created the Watts R2STM program; you ride out the down markets by renting your house you haven’t been able to sell. Then, when the time is right, we seamlessly help you go from renting to selling. We market your property extensively in order to bring tenant traffic to it. As soon as you have signed our property management agreement, your home will have a sign in the front yard and a lock box on the door within 2 business days. Not only will your home be listed at WattsRealty.com, but also on Zillow.com, Apartments.com, and over 30 other affiliate internet sites. As a real estate broker, we can also offer something that many property management companies cannot – your home will also be listed in the Multiple Listing Service (MLS). Our qualified licensed real estate agents act as your leasing agents – tenants don’t have to have their own agent to see your property. “Bad” tenants cost money, so we take our tenant selection process very seriously. All applicants are screened through 5 different qualifications: SSN verification, credit history (TransUnion), rental history, employment verification and criminal reports are acquired on all prospects. Our leasing agents personally interview and screen each tenant in addition to these formal background checks. With your authority, Watts can handle all necessary maintenance and repair requests efficiently and quickly to keep your tenant happy and help maintain your property’s equitable value. We keep maintenance costs low by hiring qualified, insured, contracted craftsmen and service personnel to take care of the smaller repairs when possible. When a repair calls for more specialized service, you will benefit from over a century of business relationships we have established with trustworthy, reliable and reasonable companies. These companies specialize in HVAC, electrical, plumbing and cleaning needs. We also have diverse relationships with vendors who provide roofing, foundation and other major home repairs. If you have preferred vendors or a home warranty company, Watts Realty is happy to work with them directly. Over the last hundred years or so, we’ve learned what works when it comes to managing the most important return on your property: Money. Watts Realty utilizes Appfolio Management Software to keep track of your money, including a number of checks and balance programs to keep your money in its rightful place. Those two things together sound awfully dreadful don’t they? Not to us. Watts Realty has qualified, licensed insurance agents on staff who want nothing more than to assist you in acquiring the proper casualty and liability insurance to meet your needs. As for your real estate taxes, Watts can monitor and pay your annual taxes as well as provide an analysis and handle tax value protests. We know that sometimes people are forgetful or misplace things. That’s why Watts Realty develops and maintains leases and related document details for a minimum of six years after a file is closed. So if you have a question regarding a past repair or tenant, we can quickly find and provide you with that information. Client reports are maintained even longer via digitization. Owners can also locate documents at any time via the Appfolio Owner Portal. Each property is analyzed to determine the fees necessary to match the anticipated needs and services. For residential management we charge a first month leasing fee when establishing new tenancy and a monthly management fee for residential properties. Access Rental Statements via our Appfolio online Owner Portal, which provides clients with all the collection information and paid invoices for their review and income taxes. This allows our owners to plan with confidence, knowing that their payments will arrive on time. As premium members of LoopNet, Catylist, Xceligent and the Center Point Commercial REALTORS® Council, Watts provides information about your commercial property to industry members throughout the country and globally. Watts Realty Company provides consultation services for investment sales, rehabilitation, assistance with financing, investment analysis, buyer brokerage, home sales referrals, tenant representation, development, new construction, tenant improvement and other related functions at competitive fees. Center Point has a population of approximately 17,000 residents. It is located in central Alabama between Interstate 59 and Birmingham to the south, Gardendale and Fultondale to the West, Trussville to the East, and Pinson and Clay to the North. Center Point is 12 miles north of Birmingham and two and a half hours west of Atlanta. Highway 75 runs through town and has easy access to several major interstates as well as an international airport, train, and bus service out of Birmingham. Copyright © Watts Realty Company. All Rights Reserved.